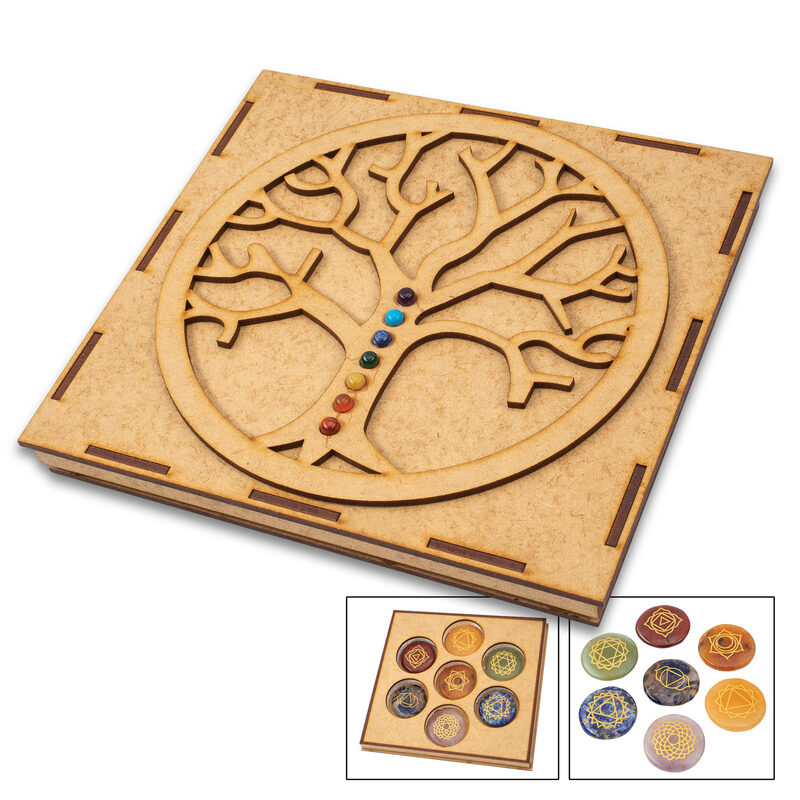 Chakra Engraved Disk Set In Tree Of Life Box - Crafted Of Genuine Healing Stones, Engraved Symbols, Adds Beauty And Balance | BUDK.com - Knives & Swords At The Lowest Prices! The key to balance and harmony within your body and mind is having clear and positive energy flowing freely through your seven chakras. With our Chakra Engraved Disk Set, you can bring balance and beauty to your home, office or yoga studio and, therefore, maintain your spiritual and physical equilibrium. 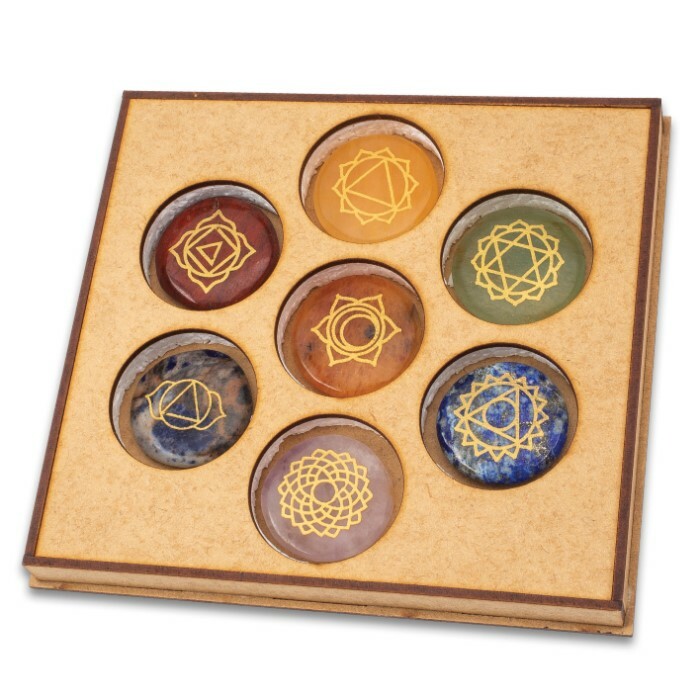 The set of genuine chakra gemstones includes amethyst, blue aventurine, lapis lazuli, green aventurine, yellow jasper, peach aventurine and red jasper. Each gemstone has its appropriate chakra symbol, representing each of the seven chakras, engraved in gold on one side. 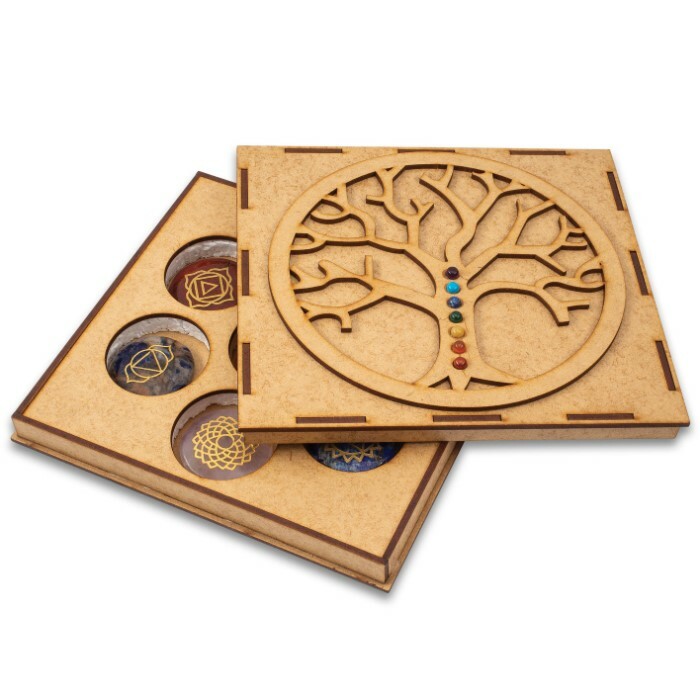 Each chakra stone fits in its own place inside an attractive pressed wood box, which features a raised Tree of Life design with miniature chakra stone accents. 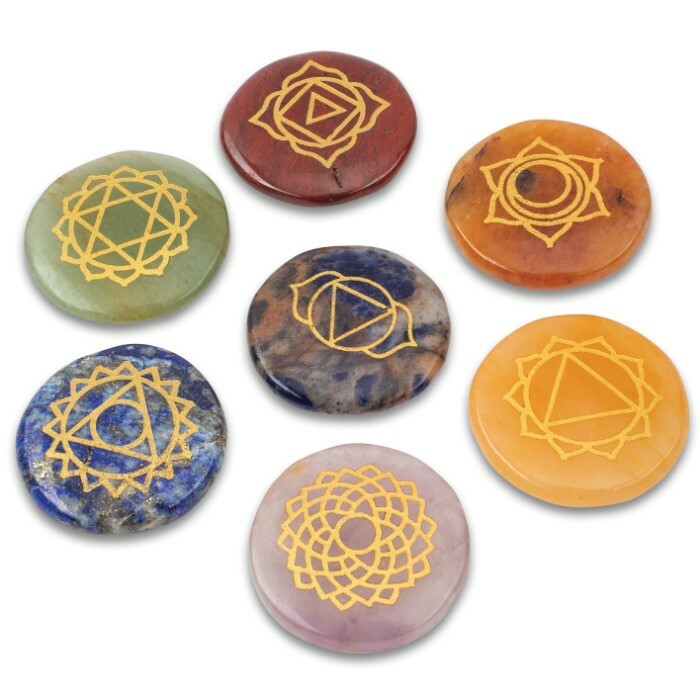 This is truly a beautiful chakra stone set, which would even make a thoughtful, spiritual gift.